You have undoubtedly noticed that school buses don’t always look alike. Some are shorter than others, some have flat fronts, and others look questionably like a van masquerading as a bus. The only thing they all seemingly share is the classic yellow that we all know and love, and even then the paint jobs can vary a bit. 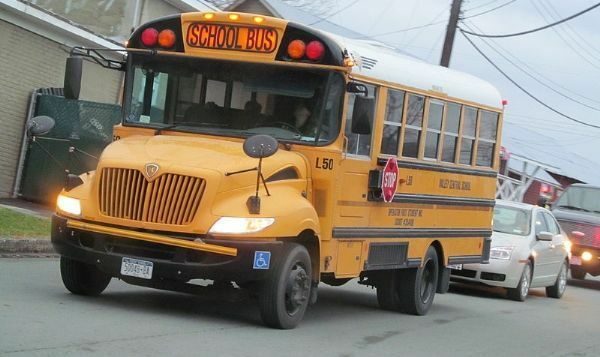 For example, white roofs are becoming more popular for school buses used in warmer districts. 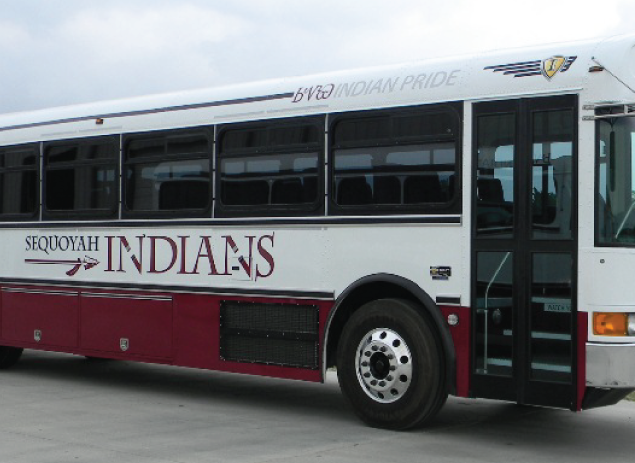 While there are quite a few different types and styles of buses, all school vehicles have to be manufactured to federal motor vehicle safety standards for school buses. That means they all fit within 7 different classifications. Let’s break down the different bus types and how each is allowed to be used. Spoiler warning though, you’ll be shocked to learn some school buses don’t even have to be yellow! The Type A school bus is made of a bus body constructed upon a cutaway front-section vehicle with a left driver’s door, designed to carry 10 or more people. 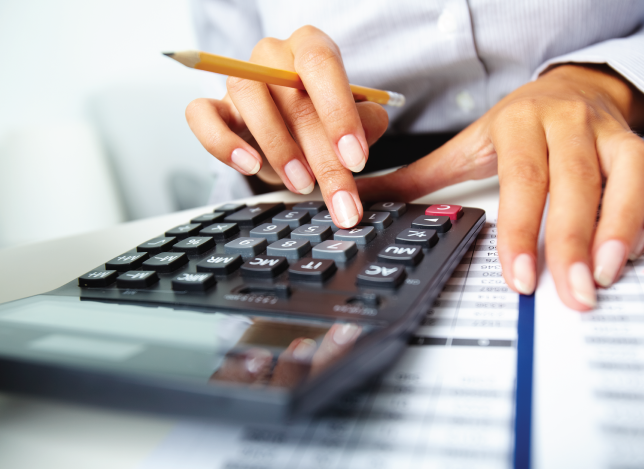 This can be split into two sub-groups of Type A-1, with a Gross Vehicle Weight Rating (GVWR) of 10,000 pounds or less, and a Type A-2, with a GVWR of 10,000 pounds or more. 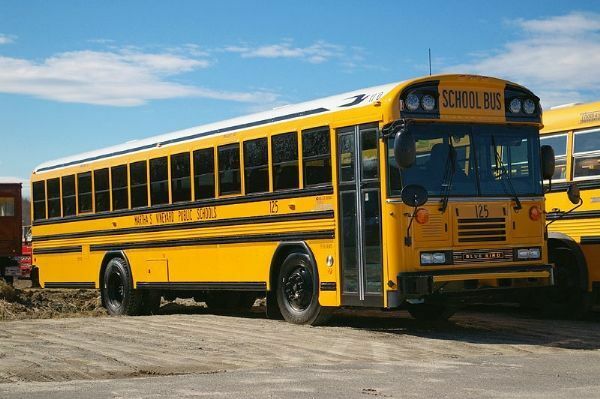 The Type B school bus consists of a bus body constructed and installed upon a front-section vehicle chassis, or stripped chassis, with a GVWR of more than 10,000 pounds, designed for carrying more than 10 persons. Part of the engine is beneath and/or behind the windshield and beside the driver’s seat. The entrance door is then placed behind the front wheels. 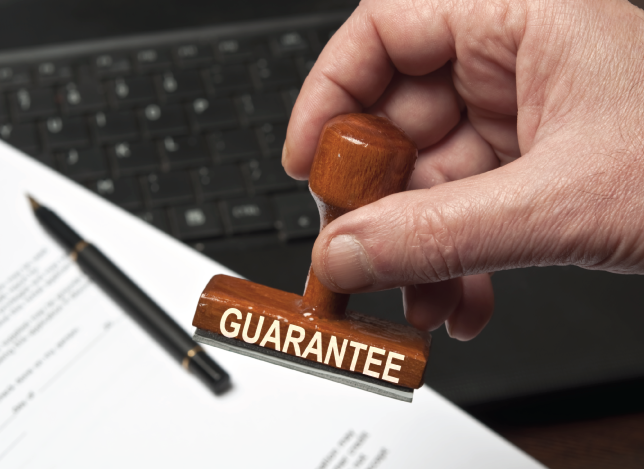 While more rare in the modern day, still live up to all Federal Motor Vehicle Safety Standards and are designed for specific school district needs. The Type C school bus is what many people imagine when they think of a “traditional” school bus. 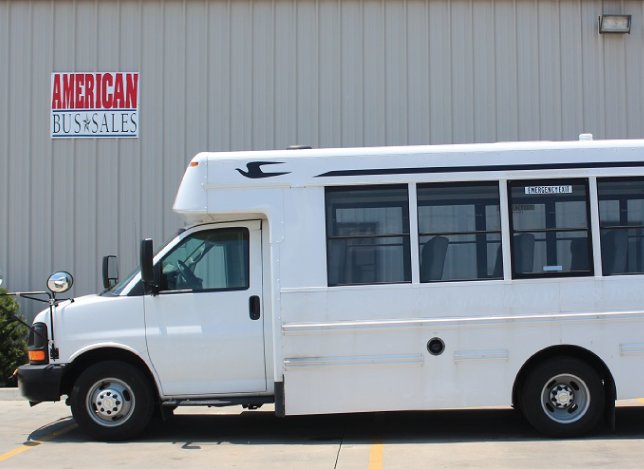 Often called a “conventional” bus, the body is installed upon a flat-back cowl chassis with gross vehicle weight rating of more than 10,000 pounds, designed for carrying more than 10 persons. All of the engine is in front of the windshield and the entrance door is behind the front wheels. While historically, they weren’t quite the first school buses, these have become synonymous with modern pupil transportation. The Type D, or “transit-style” school bus, is a body installed upon a chassis, with the engine mounted in the front, mid-ship, or rear with a gross vehicle weight rating of more than 10.000 pounds, and designed for carrying more than 10 persons. 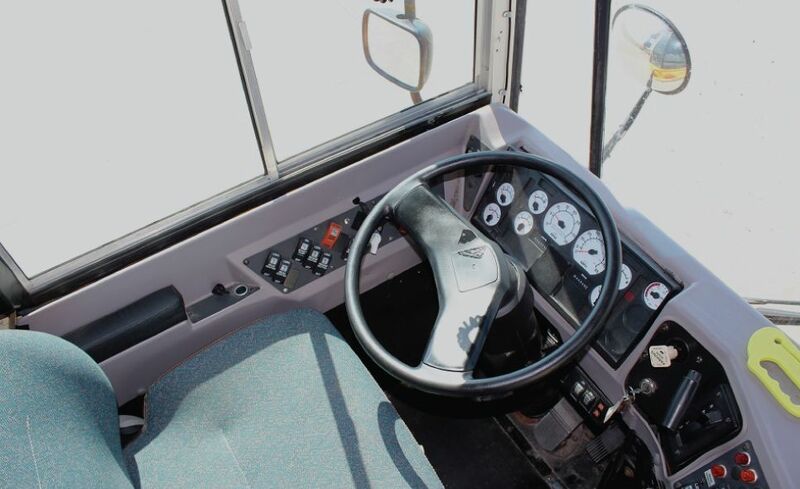 The engine is often behind the windshield and beside the driver’s seat (referred to as forward-engine or “FE”), or it may be at the rear of the bus, behind the rear wheels (rear-engine or “RE”). The entrance door is ahead of the front wheels. 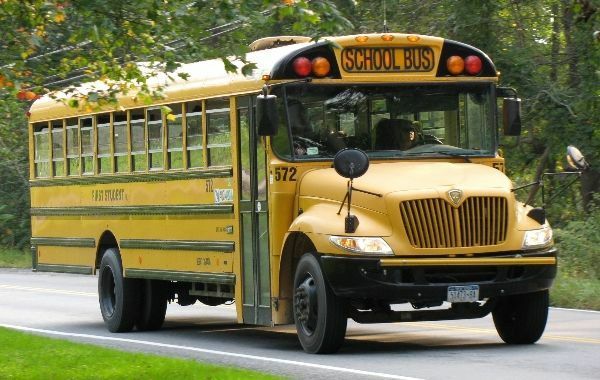 All school buses sold for the purpose of transporting students between home and school must be painted the traditional yellow, but buses not intended to transport between home and school for students from kindergarten through grade 12 don’t have to follow those rules. These buses are specifically prohibited from use for school children in regular route bus transportation service. These buses are exempt from all the traffic control requirements and devices including stop arm and flashing lights, but they are required to comply with all school bus crashworthiness standards, all other requirements in the school bus crash avoidance and conspicuity safety standards, and all post-crash school bus standards. School vans are traditional cans converted to full school bus specifications. Major alterations are made to the vehicle including cutting the roof off to increase the height and welding in a full roll cage, amongst others. 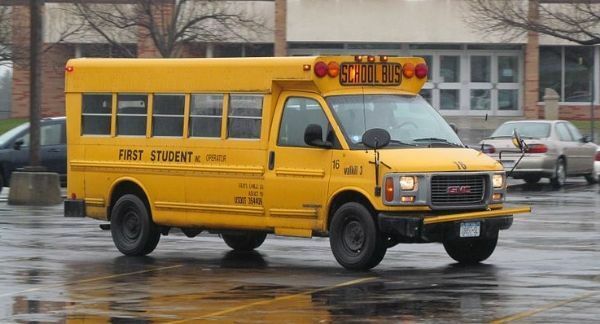 Once complete, the bus drives like a regular van but meets the Federal Motor Vehicle Safety Standards for school buses. 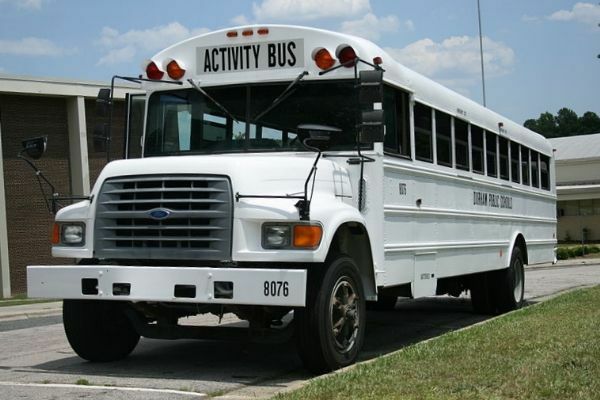 These vehicles meet all federal school bus crashworthiness standards, but do not meet conspicuity regulations or traffic control standards such as flashing lights of school bus yellow paint. These vehicles are most common for use in Head Start transportation. These are vehicles which do not match or conform to the applicable Federal Motor Vehicle Safety Standards for school buses. 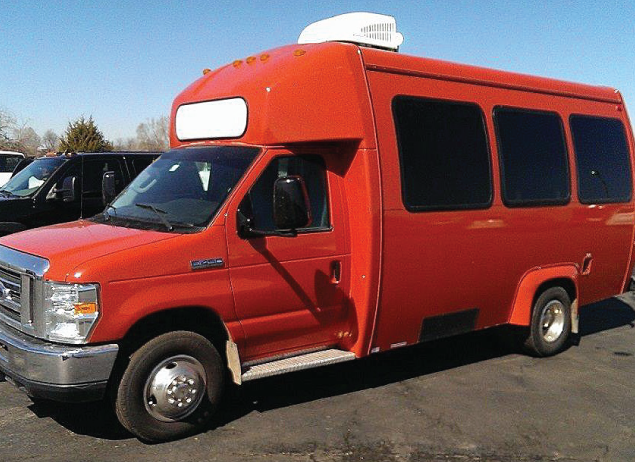 These are typically cargo vehicles converted into 15-passenger vans with passenger sitting. These notably lack the significant safety features of even traditional passenger vehicles.